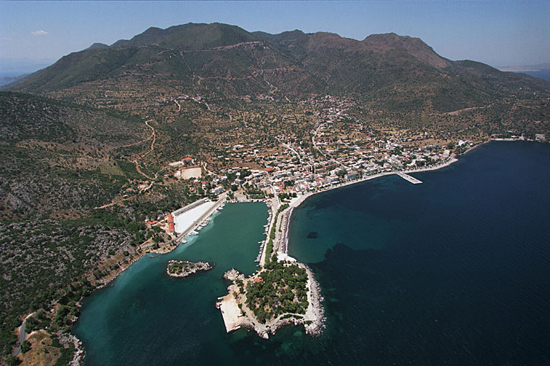 Methana is located in north-east Peloponnesus and actually is a volcanic peninsula into Saronikos bay. It’s geographical position, beautiful beaches, Spas, Volcano, lash midland, abundant fishes, pleasant climate, are the very assets of Methana, a really attractive place for vacation and weekend getaways. The benefits of Spas are healing, relaxation, wellness and reinvigoration. Methana is at a distance of 2 hours from Athens (via Korinthos- Epidaurus) by car and approximately the same time is required if you chose a sea travel from Piraeus. Also distances from Epidaurus and Poros – Galata are 40 and 30 minutes by car respectively. The midland ’s villages which are built on slopes with lush vegetation have panoramic view to the sea and the volcano. These villages still preserves many important features of traditional architectonic. It is worth to visit Megalochori, Kameni hora , Kounoupitsa, Kipseli etc. 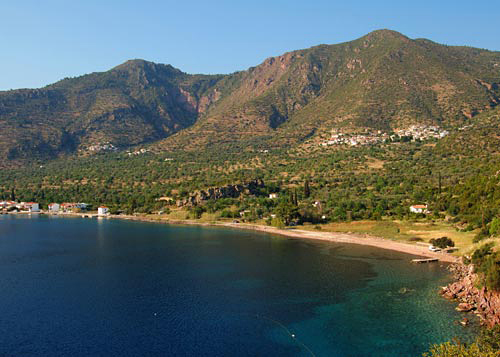 At coastal settlements Vathi, Ai Yiorgis and Ai Nikolaos you can enjoy swimming in clear waters and abundant seafood. These settlements are small natural ports and therefore are attractive to many vessels. The volcanic crater nearby Kameni Hora village witch is one of thirty exciting craters of peninsula. The date of volcano’s last explosion was about 250 BC. The “pigeon cave” (spileo ton peristerion) which has three booths with water. The ruins of ancient Methana’s acropolis near Vathi at palea Loutra. Small and normal size churches of Byzantine and modern age, which are scattered in midland of Methana’s peninsula. For those who likes hiking there is an organized and well preserved net of paths. So hikers will be acquainted with the attractive natural and cultural environment of midland – helona’s road (4 hours). Poros Island and Galatas, are at a distance of 30 min by car from Methana. Other interested places more far are Epidaurus, Argos and Nafplio. The more easy and soft way to travel to Methana is by ship from port of Piraeus. Ships depart daily from akti Tselepi (Gate E 8) and the duration of trip is about 2 hours. You could easy come by car from Athens or Piraeus in about 2,5 hours. Drive the Attiki Odo and then the National road Athens – Korinthos, after Isthmos turn to the left and drive the road to Epidaurus (Korinthos Exit Β΄ – Epidaurus). After driving of about 50 min you’ll arrive at the crossroad to Epidaurus. Road signals indicate that you have to turn right and drive on the road to Poros, Hydra or Spetses. Be careful that after this right turn immediately you have to pass under the bridge to the left. Consequently you’ll drive on this road and you have to be careful in order to turn at an angle left as indicates the signal that informs about the road to Poros, Methana. Be careful that together with the forenamed signal there is too a signal to Hydra & Spetses. 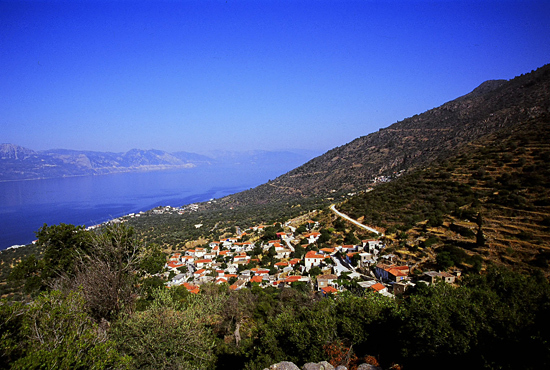 After about 25 minutes driving you’ll arrive in Kalloni settlement and soon after in Agioi Apostoli settlement. There you’ll see a crossroad and signals, one to Poros (road to the right) and another to Methana (road to the left). Turn to Methana’s road and after about 15 minutes you’ll arrive in Methana.